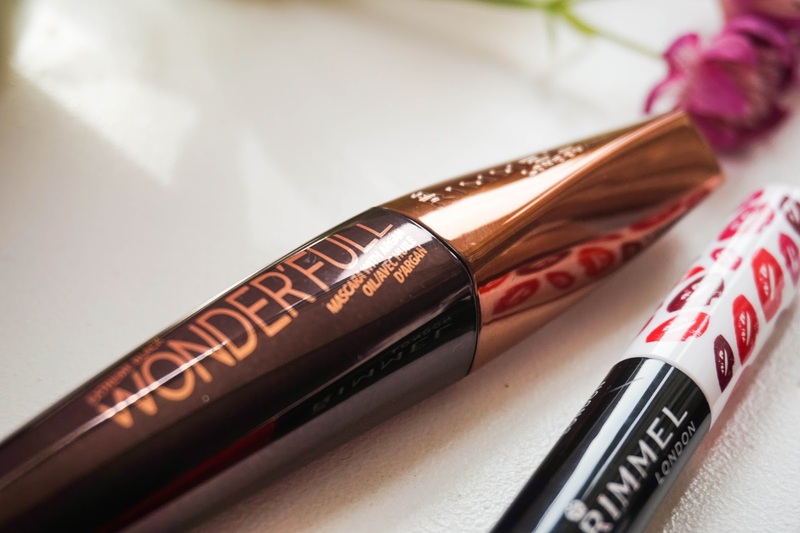 First up I've go my latest mascara love the Rimmel Wonder'full, which is not exactly new since I purchased my first tube back in August but this particular one is in the new shade Extreme Black. After loving my last tube and using up every last bit I just had to try out this more dramatic version of the mascara. 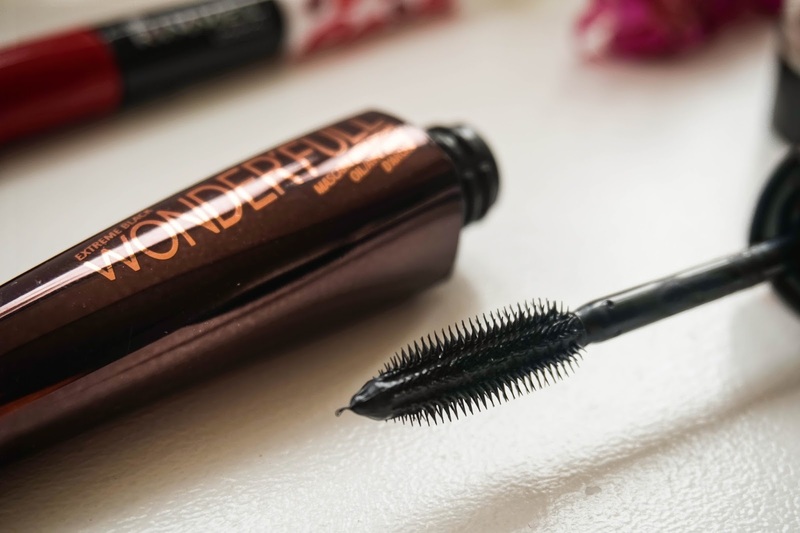 After only a few uses it's already a hit in my books because it's got the same amazing formula I raved about this mascara before here, but this new release is just that little bit darker making your eyelashes look more voluminous and I love it even more. 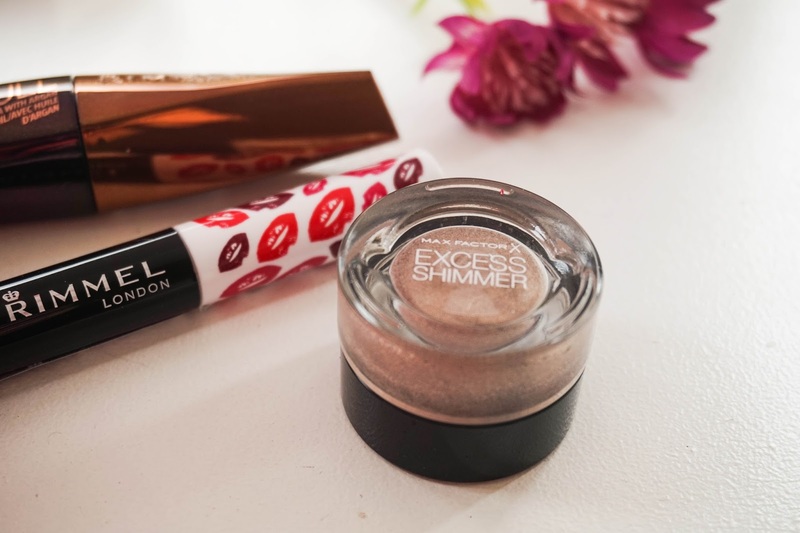 Next up is a cream eyeshadow offering from MaxFactor aptly named Excess Shimmer Eyeshadows in the shade Copper. As you can see it's a very shimmery dark champagne colour, with a really creamy consistency and amazing blendability. Because of its formula this doesn't really set as such so I haven't tested it out on it's own to see how it lasts throughout the day yet. 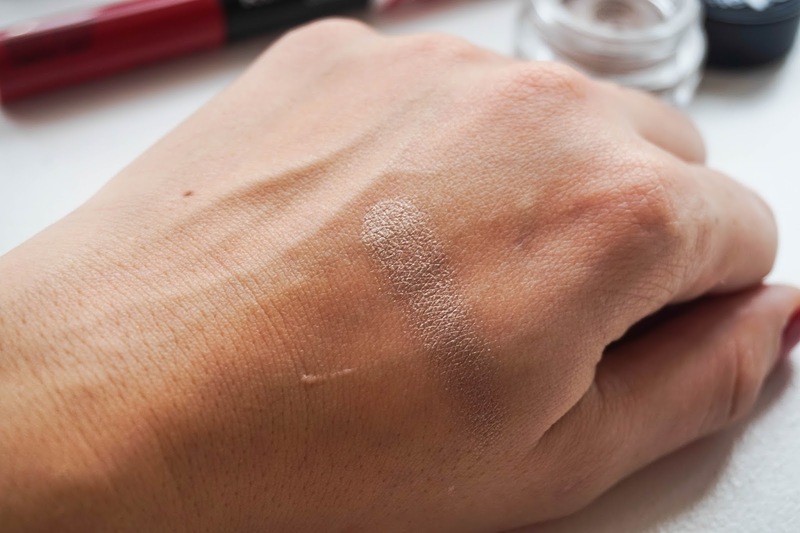 What I love using this (or any cream eyeshadows for that matter) is as a base for a deep smokey shimmery eye, which I have had no problem with, in terms of creasing or fading. 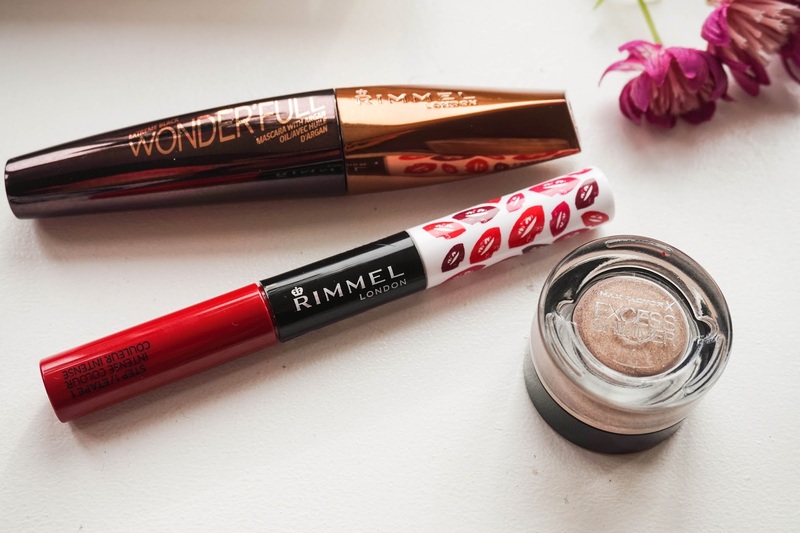 I love this product already and I already know I will be getting a lot of use out of it for the festive season ahead. 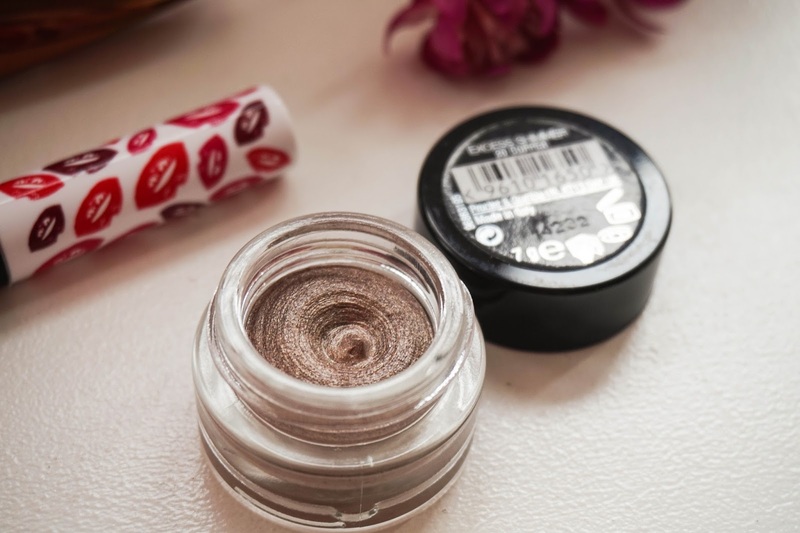 I just wish MaxFactor would bring out some better shades as the availability in store was minimal and this was the only shade that attracted me. 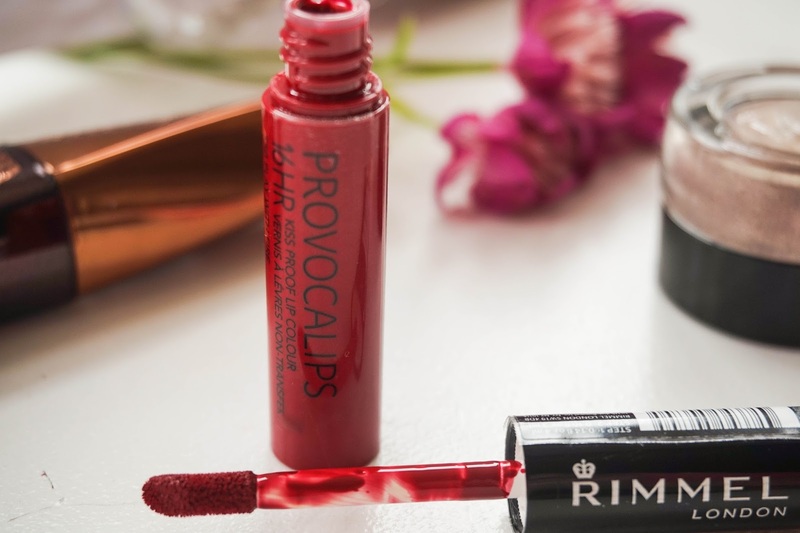 Last of the bunch is the Rimmel Provocalips in Play With Fire, which is a gorgeous deep red (yes red I know what has gotten into me). 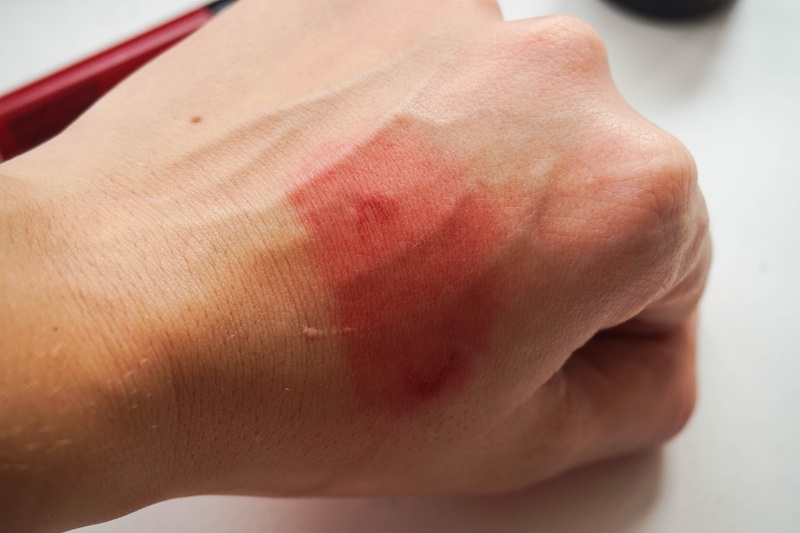 I have to say I am amazed at the longevity of this lipstick, as you can see in the photos above my hand was left in a messy state for a few hours after trying to take it off with my reliable Micellar Water. The only problem I have with this comes to the application process because for me personally it wasn't something that I got right straight away. 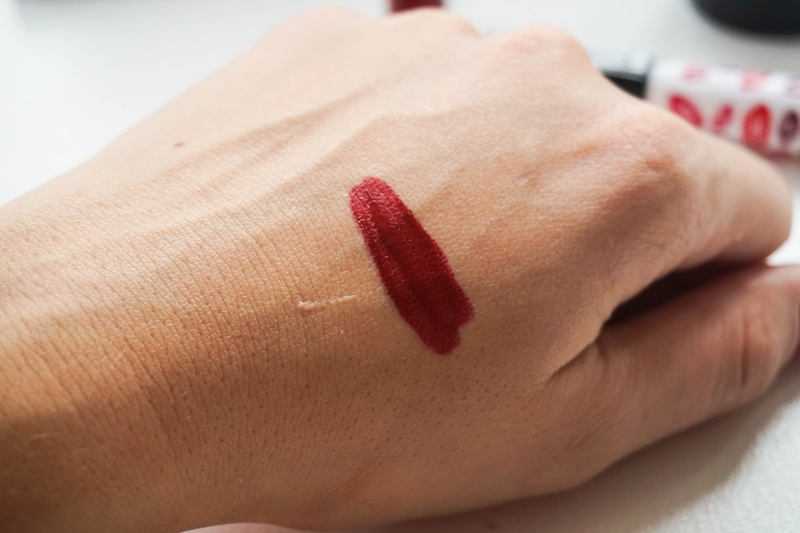 The lip colour has to be applied pretty quickly before it starts setting dry, which is quite the struggle since it is such a dark shade. 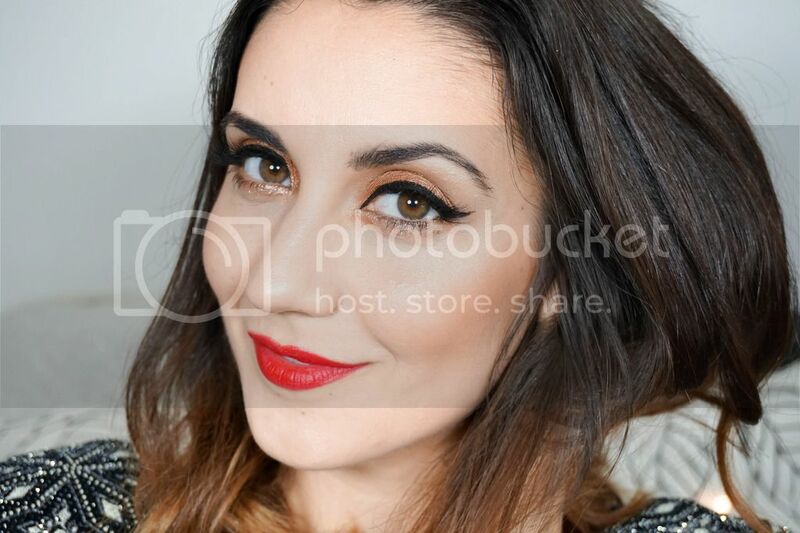 Once the lip colour starts setting it feels quite tacky and you can't really rub your lips together or anything until you apply the clear gloss over it. 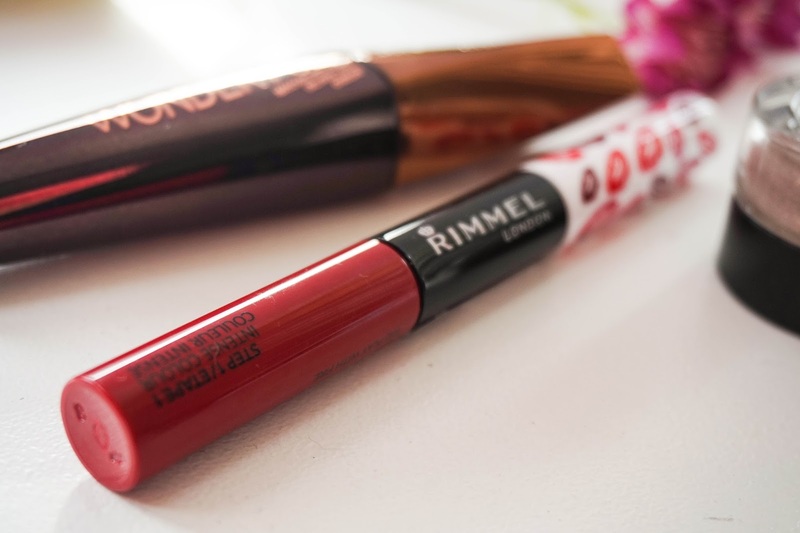 Even though the application is a bit fiddly and does take longer then a regular lipstick, in my opinion it's totally worth it as you literally don't have to worry about your lips all night long.